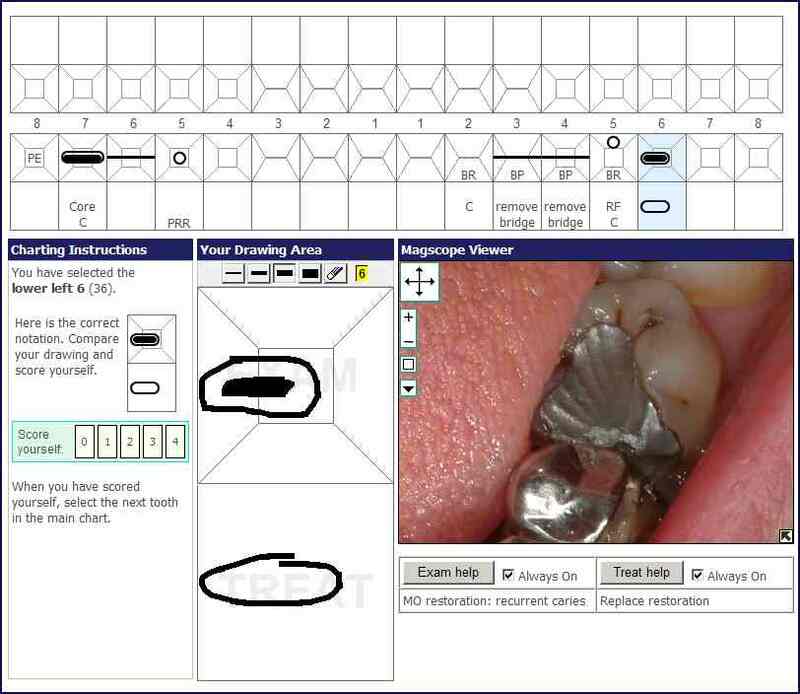 The Dentaljuce Charting Practice module gives team members a chance to practice their dental charting skills. Exercises include being able to name charted restorations, and drawing charts (with the mouse) for real patients using magscope images. What a wonderful tool! the instant feed back is what I needed...thank you! This is a fun way to learn! Great way to check my understanding of charting. The Charting Practice online learning module has clear and concise aims, objectives and anticipated outcomes, listed below. These will appear on the Dentaljuce Enhanced CPD Certificate, along with the time spent, dates, and detailed topics you studied within the module. Certificates can be printed at any time, covering any range of dates. Dentaljuce CPD complies with the UK GDC's requirements for enhanced verifiable continuing professional development. To become more fluent with dental charting Take the Dentaljuce Charting module • Become familiar with many of the conventions used in charting. • Be able to name and chart restorations according to the surfaces they cover. • Be able to make charts of real clinical situations through having practised charting of virtual patients. • Become familiar with many of the conventions used in charting. The aim of the learning and teaching materials in this Dentaljuce module is to allow learners to develop their professional knowledge, understanding and competence in dental charting, in line with their identified personal learning requirements. • to provide the learner with opportunities to practice dental charting.